Arlington is the seventh largest city in Texas, but because it’s sandwiched right between Dallas and Fort Worth, you might miss it on a map. Until now. With so many places to see a game, ride a roller coaster, get out on the water, or chase a tornado, Arlington should be where you focus your next trip to the DFW area. Here’s what you’ll experience — and what you’ll never forget. Though the Cowboys claim to represent Dallas, they actually play at AT&T Stadium in Arlington. And yes, attending a game is awesome, but you can explore the high-tech stadium with a guided tour even on an off-day. This place has one of the largest jumbotrons in the world and some pretty fascinating acoustics — throughout a game, the cheers and chants of the crowd echo off the dome’s retractable roof, making for one heck of an immersive experience. Before games, the parking lots fill with tailgating super-fans who will definitely get you into the zone. There are often post-game activities, too, like wine at the Bubble Bar or live music on the stages outside. Living in a city comes with a few drawbacks, like light pollution blocking out so many of the stars in the night sky. Arlington makes up for that, though, with of one of the largest planetariums in the state, located at the University of Texas at Arlington. Gazing up at its dome-shaped ceiling, you’ll see the Texas night sky in high-def, with stars, the solar system, and galaxies lighting the UTA Planetarium’s 60-foot projection surface. Astronomers give night sky tours for the public, and you can even take a roller coaster ride through the universe while Pink Floyd plays to CG effects. You know, like any normal day back home. Every spring, Texans gear up for the intense storms of tornado season, and for some, this is the most wonderful time of the year. Those “some” being storm chasers. And you’re welcome to join them. Established in 2000, Tempest Tours is a storm-chasing company staffed by a team of trained storm spotters, climatologists, and meteorologists. With radar, tracking hardware and software, and a group of vans, you can come along for the super-intense ride. Nine out of 10 of their tours intercept tornadoes — all from a safe distance, of course. Arlington may not have name recognition like Dallas or Fort Worth, but back in the day, it used to draw gangsters and the Hollywood elite to its very own Top O’Hill Terrace. Here’s the story: In the 1920s, Fred and Mary Browning bought the Top O’Hill Terrace property and turned it into a casino, complete with an escape tunnel and secret room to hide gambling paraphernalia. A restaurant and tearoom acted as cover to the casino and onsite brothel. Top O’Hill Terrace welcomed stars like John Wayne, Bonnie and Clyde, Gene Autry, and Frank Sinatra. Today, the property is owned by Arlington Baptist University, which gives tours for a $10 donation. 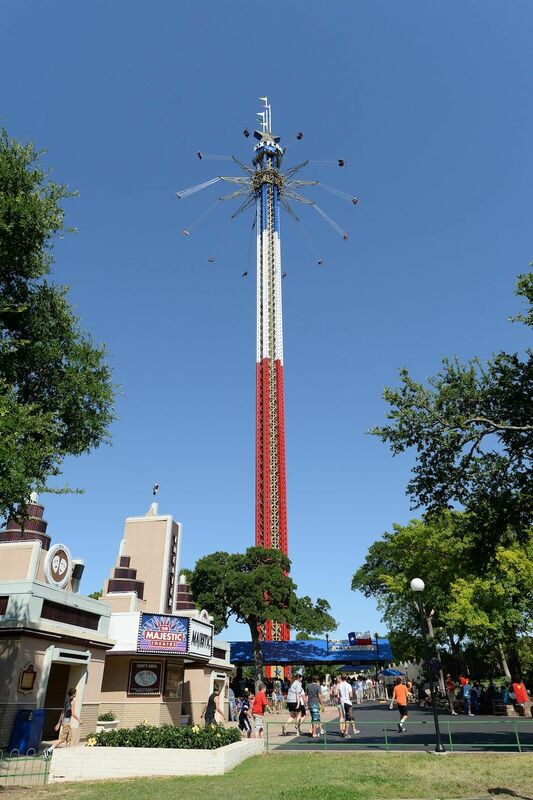 As they say, everything is bigger and better in Texas, and the sentiment definitely applies to Arlington — the city’s Six Flags Over Texas is home to the tallest swing ride in the world. It stands 400 feet high and will take you on a wild 360-degree, 35mph ride with the best views around (and around and around). Arlington, AT&T Stadium, Globe Life Park, and downtown Dallas are visible from the Texas SkyScreamer. Bowling may seem like a recent innovation, but the truth is it appeared 5,000 years ago in Egypt — though they played with two players on either side of the lane, sort of like lawn balls. At the International Bowling Museum and Hall of Fame in Arlington, you’ll get to see this history firsthand, learn how technology is being used to improve bowling techniques today, and pretty much live out your Big Lebowski dreams. Plus, there are a bunch of interactive games, and kids of all ages can check out Bowlopolis for a hands-on family experience. No awkwardly yellow bowling shirt required. Tickets to Texas Rangers games in Arlington are more affordable than most, making for a memorable night of baseball and — seriously — really great food. Globe Life Park is famous for offering Texas-bred cuisine, often in Texas-sized portions. The freshly dipped corn dogs, giant turkey legs, and funnel cakes are all classic options. Then there are the food items you haven’t even dreamed of yet, like deep-fried bacon on a stick, Fried S’mOreos, the Choomongous (a 24-inch teriyaki sandwich), sausage sundaes, fried brisket mac-n-cheese balls, and two-foot-long hot dogs. This is stadium fare at a whole other level. Maybe you don’t generally associate football fans with art, but AT&T Stadium sure does. There are over 50 pieces of contemporary artwork on display, commissioned by Dallas Cowboys owner Jerry Jones, breaking a stereotype that deserves to be broken. Public art has come into the city in a big way, too. The Caelum Moor sculpture at Richard Greene Linear Park, another city favorite, includes five groups of massive granite monuments over five acres. And downtown Arlington has a 12-foot-tall structure that spells out “Dream,” along with 20 six-foot-tall fiberglass stars (all decorated by local artists in ways that represent the city). When the weather hits 100 degrees in Texas, Lake Arlington is the place to stay cool. At 1,939 acres and 51 feet deep, there’s plenty of space for lake-goers to participate in whatever water activity they can dream up. Jet ski rentals are offered throughout the week, as well as pontoon boat, kayak, canoe, and paddleboard rentals. Three boat ramps get anglers on the lake, usually for the day’s haul of largemouth bass. Texas is warm, or didn’t you know? Enter Six Flags Hurricane Harbor, the ultimate respite from the heat — if you don’t mind a good soaking. There are 40 rides with names like Typhoon Twister, Tsunami Surge, and Wahoo Racer (a two-level, multi-lane waterslide — the only one like it on the planet). Families with smaller kids (and those less interested in the accompanying adrenaline) can have a low-key day and check out Boogie Beach or the Lazy River. Arlington has 4,000 acres of amazing parks, but ask any local, and you’ll be told that River Legacy Park stands above the rest. There are eight miles of hiking and biking trails, 10 miles of mountain biking trails, and — as the name indicates — a river for kayaking and canoeing. The River Legacy Living Science Center hosts events throughout the year, challenging the next generation to take an interest in science and conserve our important natural areas. 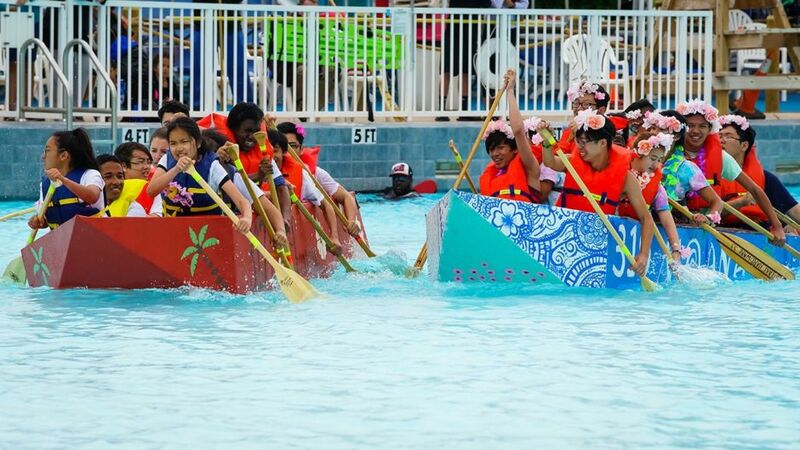 They also put on unique fundraising events, including a cardboard boat regatta open to amateur boat builders (and wannabe amateur boat builders). Plus, there are aquariums and terrariums to check out, and field investigations take place on the grounds regularly. With AT&T Stadium, Globe Life Park, the Dallas Wings WNBA team, and the International Bowling Museum all within city limits, it’s clear that sports play a big part in the Arlington lifestyle. It should then come as no surprise that golf is a favorite activity here, too. In 2018, the first-ever Major League Baseball-branded golf course will open in Arlington. Known as the Texas Rangers Golf Club, it’ll include a $24 million renovation of the Ditto Golf Course, clubhouse, restaurant and bar, pro shop, and rental spaces. The golf course is set to open in the summer, while the new clubhouse and restaurant will be complete in 2019. Texas folks love their tunes, and Arlington provides. Arlington Music Hall opened in 1950 as a movie theater but was purchased in 2006, renovated, and reopened in 2010 as a premier concert venue for all kinds of music, including classical, rock, country, pop, and musical theater. Willie Nelson, KANSAS, and Loretta Lynn have all played here. There’s also Levitt Pavilion, an outdoor concert venue in downtown Arlington’s Founders Plaza. It hosts 50 nights of free, culturally diverse musical events every year, as well as family movie nights. Definitely check their calendar — odds are something is going on during your visit. Passes are available in hour-long increments and provide full access to the facility. There are often different events throughout the week that you can partake in, too, like official dodgeball tournaments, vertical aerobics, and neon nights. 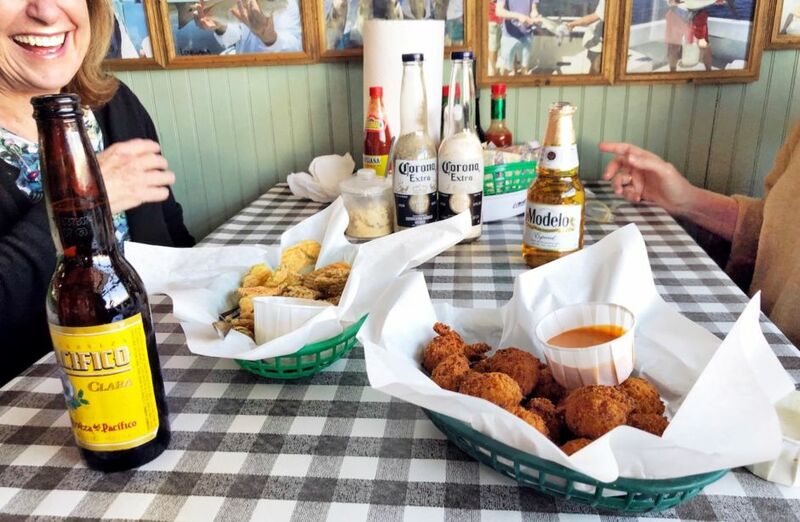 Arlington cuisine gathers together all that’s good about Texas, Southern, and Southwestern food. For instance, Flying Fish was inspired by Texas fish joints found on area lakes; David’s Barbecue has been around since 1910, paying tribute (for 100+ years) to the kind of Texas meat-grilling that’s known all over the world; and Mac’s Bar and Grill has a menu that combines Tex-Mex, steak, seafood, and Cajun cuisine — all of which play important parts in the Texas food scene. The drink scene is local, too. Legal Draft Beer Co. was founded by two residents of Arlington who wanted to give Texans and visitors alike a taste of Texas craft beer. All in the heart of a city you definitely can’t forget.